Paris summoned the Italian ambassador this week after Italy’s Deputy Prime Minister Luigi Di Maio accused France of "impoverishing African countries." 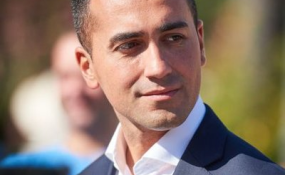 “If today we still have people leaving Africa, it is due to several European countries, first of all France, that didn't finish colonizing Africa,” Di Maio told reporters Sunday. “Italy (is) wanting France to take migrants who arrive on its shores, or at least part of them. And also disagreements over how to handle Libya, with Italy and France backing different sides in the Libyan civil war," he said. "The eurosceptics, nationalists, benefit from the fear in Europe's people, and they say: 'The answer on your fears is nationalism,' and we don't believe this,” Macron said in a speech to mark the signing of the treaty.